2) Supper Club - We prepare and serve dinner to the women in training , their children and the staff. March 8th is International Woman's Day & Zonta Rose Day. International Woman's Day was established by the United Nations in 1977 to celebrate the rights of women and international peace. Zonta Rose Day is celebrated the same day to raise awareness of women's progress and to outline future steps to improve the status of women. The Yellow Rose is an important symbol for Zonta and the Suffrage Movement in the US. Throughout history, the color yellow has been closely associated with the sun. As the source of light and warmth, the sun is integral to life on Earth, and has been worshiped in early societies. In many Eastern cultures, for example, the color yellow represents joy, wisdom and power. Today yellow roses are more commonly associated with joy and friendship. In contrast to the romantic meanings attributed to other roses, the yellow rose is purely a symbol for friendship. 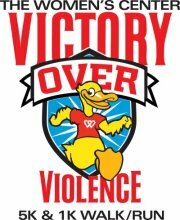 Each Spring, the Zonta Zingers walk to support The Women's Center of Tarrant County in their "Victory Over Violence" walk at the Trinity Park Duck Pond in Fort Worth. This year the event will be held on April 8, 2017. Visit www.vovfw.orh for more information. Zonta is proud to be a Red Ribbon sponsor of this event each year, as it raises awareness of domestic violence in our community and funds to support anti-violence programs of The Women's Center. Since 1971, the Zonta Club has honored an outstanding professional woman in the Fort Worth community. This event celebrates her accomplishments, applauds her courage and thanks her for her example and the encouragement it provides to other women and girls. In 2013, the Zonta Club of Fort Worth is honored Mayor Betsy Price as its 2013 Professional Woman of the Year. Each December, the Zonta Club of Fort Worth hosts a Christmas Party for the girls at Christ's Haven Children's Home and their house parents. The party is named for the late Jean Boenker, a nutritionist and long-time Zonta member, who took this project on as her own for several years. For the club members, supporters and the girls, the Jean Boenker Christmas Party is the highlight of the year. The party is held at a local country club with dinner, the singing of carols, a visit by Santa and a big bag of Christmas presents for each girl. We get to spend some time with these girls and see the delight on their faces as they open their gifts. A fund has been established to purchase new pajamas and houseslippers for the girls. If you would like more information on the party or how to donate to the fund, click here.